Russian stocks are likely to trade lower Saturday, which is a working day in the country, with investors cautious after Friday’s losses and closely watching the weekend elections in Europe. 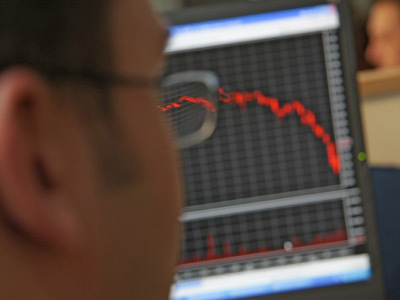 ­Russian markets fell sharply on Friday amid negative global background and dropping oil prices. 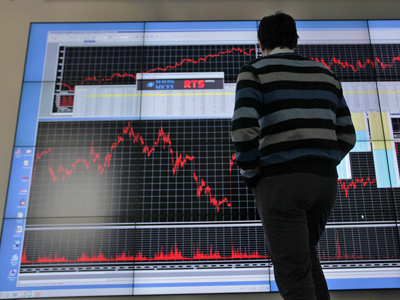 The MICEX lost 3.66% and the RTS fell 4%, while most Russian shares traded in the red. US stocks also dipped sharply on Friday, sending the S&P 500 and Nasdaq Composite to their lowest levels of the year, after April job gains came in below forecasts. The Labor Department released data showing payrolls rose by 115,000 last month, compared to 154,000 in March. The Dow Jones was down 1.3%, weighed down by more than 3% losses in Bank of America and Cisco Systems Inc., while the S&P 500 lost 1.6% and the Nasdaq Composite declined 2.3%. European stocks traded in the red Friday ahead of elections in France and Greece, but the indices were pushed even lower after US jobs data. The Stoxx Europe 600 lost 1.8%, while the French CAC 40 lost 1.9% and Germany’s DAX 30 dropped 2%.